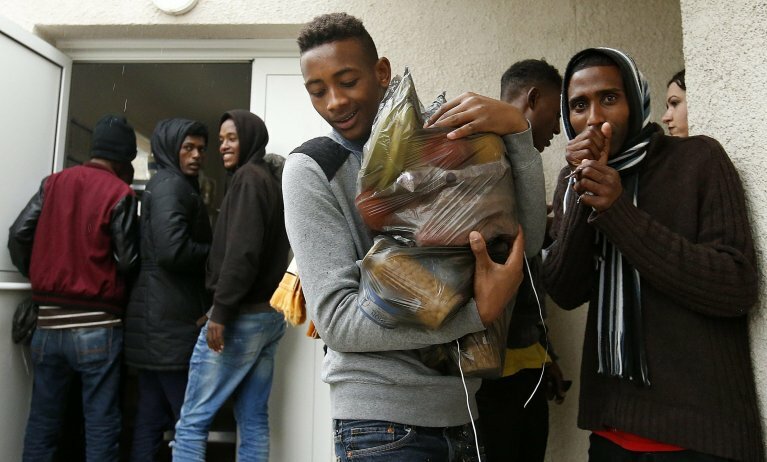 The United Kingdom recently announced a new form of protection for minor migrants who were brought to the country following the evacuation of the Calais "Jungle" migrant camp in France in 2016. However, activists are calling the measure unjust. British Immigration Minister Caroline Nokes announced last week that the Home Office will offer a new form of protection to minors who were brought to the country after the migrant camp in Calais in northern France was evacuated and demolished in 2016. Nokes said the exceptional measure will include the right to education, work, and access to public funds and health assistance, with the possibility to apply for a stay permit after 10 years. However, the European NGO network European Council on Refugees and Exiles (ECRE) reported that despite the fact that the measure has been generally welcomed, associations and activists for migrants' and minors' rights are calling the measure an "arbitrary and unfair policy". When the camp in Calais was demolished in 2016, about 750 unaccompanied children were brought to the UK. A total of 549 were to be reunited with family members. After arrivel, however, it was decided that a small number of these did not qualify for refugee status under immigration rules, and would therefore have only been entitled to unaccompanied asylum child (UASC) leave which expires as soon as the child turns 18. The new proposed measure is highly specific; it will be granted only to those who were brought over as part of the Calais clearance in October 2016, who were under the age of 18 at the time, and who had recognized family ties in the UK. While the move has been welcomed, campaigners remain critical of what they call an "arbitrary and unfair policy", which will still neglect vulnerable children who had left Calais just months before the demolition. Critics said those entitled to the new measure will have to wait twice as long to apply for an indefinite stay permit as those who have been recognized as refugees via the regular procedure. The British NGO Safe Passage has voiced concern over the effect this will have on the young people that have already "been suffering in limbo for two years" uncertain as to the future of their status.